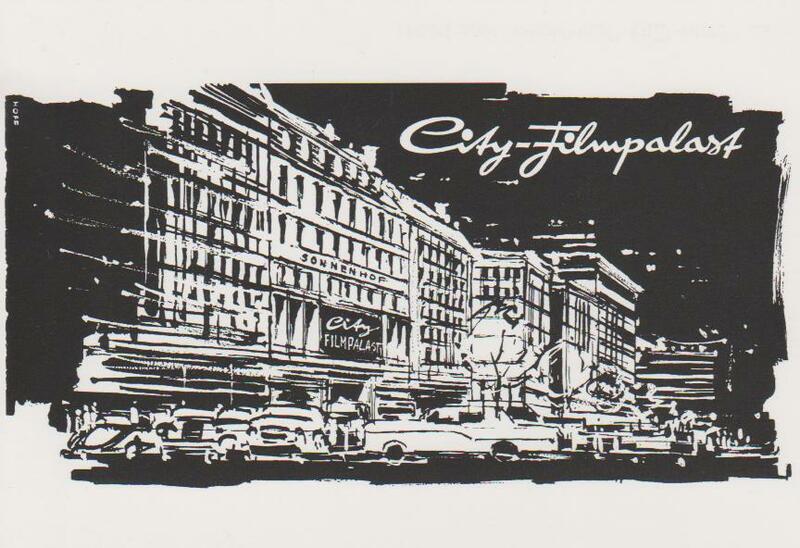 Congratulation - 50 years City Filmpalast Munich! This anniversary was celebrated in 2009 and a good reason for publishing this advertising postcard. 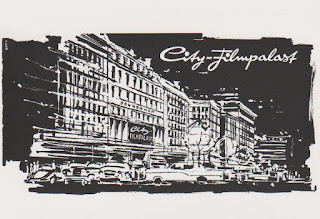 City Filmpalast was opened in 1959 with one hall and about 1000 seats, later departed and the foyer was changed in a third hall. Now it has at all 676 seats in three halls. It is an arthouse cinema with an interesting programm. For the current programm look here, for more pictuures here.